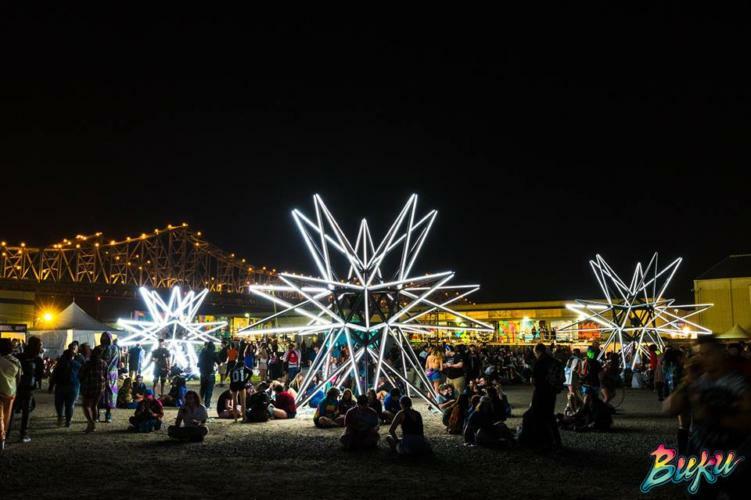 BUKU Music + Art Project is Back Again – returning march 22-23, 2019! For their 8th installment, BUKU Music + Art Project returned to Facebook featuring some new branding. A new Facebook profile photo detailing a purple and blue egg with a lightning bolt. This change brought BUKU back into the mind of those who attended in years past. This profile photo is very different and unique from their previous branding and we’re excited for whatever this may mean! Tier I sales begin today at 11am CST! Don’t miss out on one of the best New Orleans festivals of the year. Tickets include General Admission, GA Plus, VIP 21+, VIP and TOO BUKU. Payment plans are available at checkout as well. Purchase BUKU Music + Art Project tickets here. Check out their new promo video — featuring a possible headliner clue?